As part of our on-going #RiotSkills series where we share our learnings from campaigns we have created, this one’s for anyone managing a heritage brand. This morning our Associate Director Adele Minchin, spoke at the publishing industry’s annual Bookseller Children’s Conference about this very topic. Entitled Moomin Marvellous: Creating New Audiences for a Heritage Brand, she spoke about our work for our client Moomin Characters whose brand has endured from its beginnings in 1945 to being one of the top ten most recognizable single character brands in the world in 2017. That’s where we come in! What is it about your brand that makes it so special and has helped it endure thus far? In the case of Moomins it is the great storytelling, the unique and beautiful artwork and strong brand values. Once you know what the strengths are, do all you can to bring all your brand activity back to these assets. In this way your heritage brand will remain true and consistent to its origins. Heritage brands often have a moment in the calendar / existing activity / partnerships in place. Scrutinise them and see if you can leverage them for further reach. 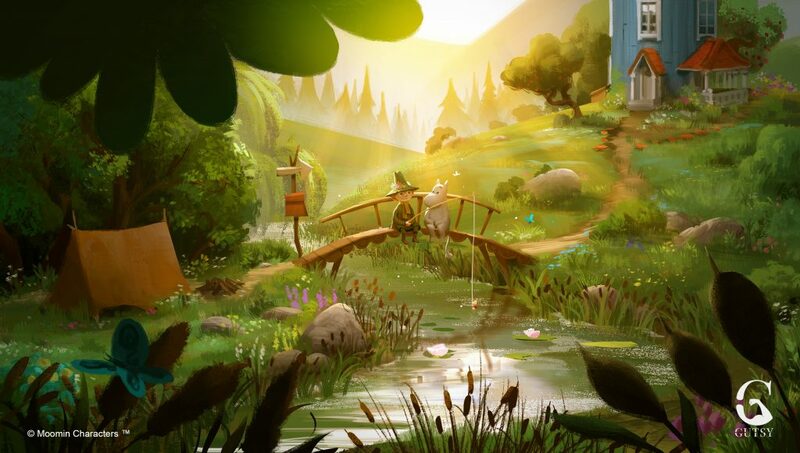 This year, Southbank Centre in London recreated the magic of the Moomins in a brand new immersive experience: Adventures in Moominland as part of their Nordic Matters season. 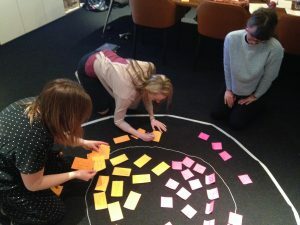 We used Southbank Centre’s exhibition to see how we could connect our various target audiences to what was already happening. Part of this activity included working with fashion brand Chinti and Parker to launch their new Moomin line with fashion influencers at the exhibition as a focal point. A year of Moomin mania in 2017 from the Southbank Centre exhibition and Easter-themed activity at Kew Gardens, to a retrospective of Tove Jansson’s artwork at the Dulwich Picture Gallery means a huge amount of brand activity to juggle. As brand managers, make sure you have a clear oversight of all the activity taking place and ensure there’s something different / unique for everyone in the mix (licensees, media, stakeholders) with no clashes. Aligning yourself with the right partners and spokespeople is, of course, another way to increase your brand reach and find new audiences. Moomin Characters today launched a partnership with Oxfam called The Invisible Child campaign. With similar values, Moomins will be supporting Oxfam in its work to help women and girls around the world fight inequality and escape poverty for good. Whoever you work with must be aligned with your brand values so the credibility of your brand is never compromised. Influencers are a great way of expanding the reach of your heritage brand but it takes careful research. Zoella recently shared her love of Moomin in one of her unboxing videos, now viewed over 2 million times. In this instance, she was the right fit because we knew she liked the Moomins. But the macro influencer isn’t necessarily the best or only way to expand the reach of your brand. Sometimes micro influencers with smaller numbers of followers (around 100k) are easier to reach and have a more loyal and engaged audience. You could have much more impact working with a growing community.